Have you ever had that annoying experience after a great walk with your dog, when you need a caffeine or piece-of-cake boost, you take a seat at a nice-looking café only for a waitress to come across and tell you that your dog isn’t allowed? 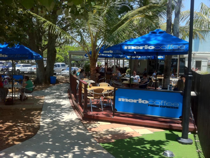 We have – that’s why we thought we’d put together a brief list of some dog-friendly cafes in Brisbane where you and your pooch can both enjoy a well-earned rest after your walks…and you can enjoy good food and coffee! Click here to for the pdf version. Please let us know of others and we’ll add them to our list. The following restaurants all allow dogs and are well known for their quality of food. But be warned, it has become so popular, that particularly on weekends, bookings are strongly encouraged. This great little café specializes in good quality, reasonably priced and healthy food and, with a name like that, it would have to welcome dogs, wouldn’t it? They open early and you may have to get there early to get a table for breakfast at weekends, because it’s a popular haunt. Opening Times: 8am – 5pm Every day! Our Haus brims not only with mouth-watering food, but also fascinating art pieces, paintings and knick-knacks. The amount of regulars that go to Our Haus is a testament of its great food and service. Lovely and attentive staff, great coffee and super speedy service makes this cafe a treat to visit. In addition to being a good stop off for locakls and those with young babies who have taken their child around Hawthorne Park, it is very welcoming to clients with dogs. 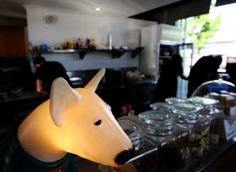 Not only does this cafe allow dogs, it encourages them, as you may have guessed by the name. As well as a coffee shop, complete with puppachinos and mutley muffins on the menu, they have a pet supply store and a DIY dog wash that gives you a great cheap way to bath your dog as well. So it’s a real one-stop shop! The Milk Bar café specializes in traditional style milk bar food including hot breakfasts, healthy lunches, home baked cakes and their famous thick shakes. 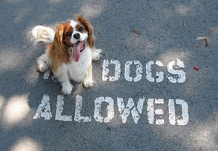 You and your dog are welcome anytime!